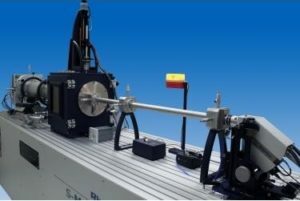 Small angle x-ray scattering (SAXS) is used to determine sizes and shapes of macromolecules and macromolecular assemblies such as protein-detergent complexes. It can be used in sample preparation to characterize the properties of samples before they are used for other purposes. SAXS is also very beneficial in combination with spectroscopy, especially NMR spectroscopy, to refine and constrain NMR structures to molecular shapes that are consistent with the SAXS data.